American Spirit Arms may not have produced the first side charging AR-15 but they certainly are the first to bring the design to main stream shooters. 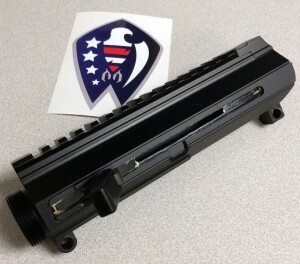 I have been pretty anxious to build an upper based around the ASA AR-15 M4 SIDE CHARGER UPPER RECEIVER for a few reasons. First off I have enough AR-15 rifles that it’s difficult to be creative and not redundant. Additionally I am left handed and the ASA AR-15 M4 SIDE CHARGER UPPER RECEIVER undoubtedly favors southpaws like myself. That said there is actually a more significant reason. I was born with birth defects that affect my hands, particularly my right hand. While the Mil-spec AR-15 is ambidextrous the forward position of the charging handle on the ASA AR-15 M4 SIDE CHARGER UPPER RECEIVER is much more comfortable for me. If you cant tell already this upper being turned into a rifle is a pretty exciting prospect. 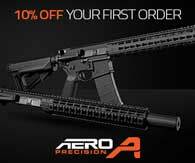 I purchased my ASA AR-15 M4 SIDE CHARGER UPPER RECEIVER and special bolt carrier from Brownells of course. While the entire project has not been thought through a project will be forth coming. Stay tuned.